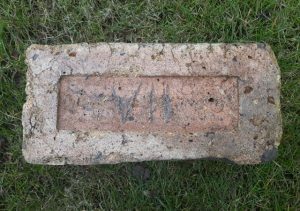 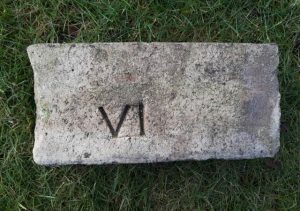 It was found among a pile of reclaimed Allan and Mann bricks. 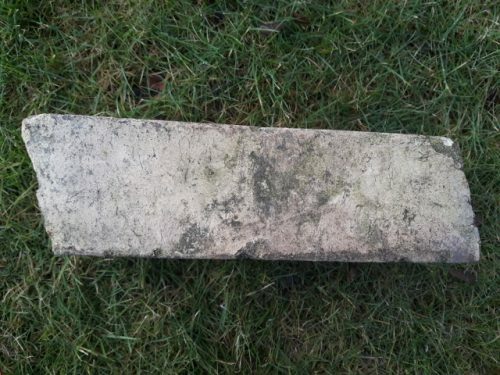 Michael Fallone states that this brick came from a flat arch window design. 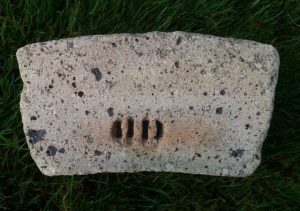 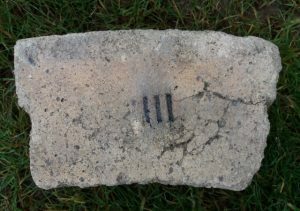 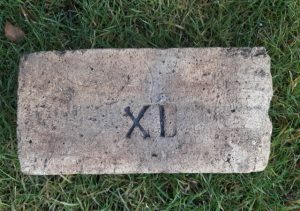 The keystone (middle) would be marked one and each brick to the left and right would be marked to assist with the build. 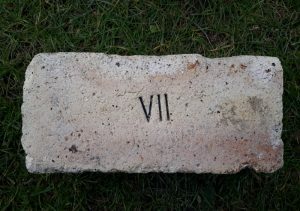 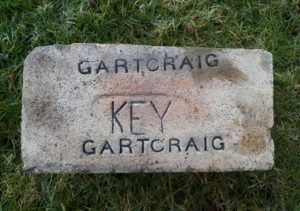 So the brick to the left and right of the keystone would be marked II, the next either side III etc etc.